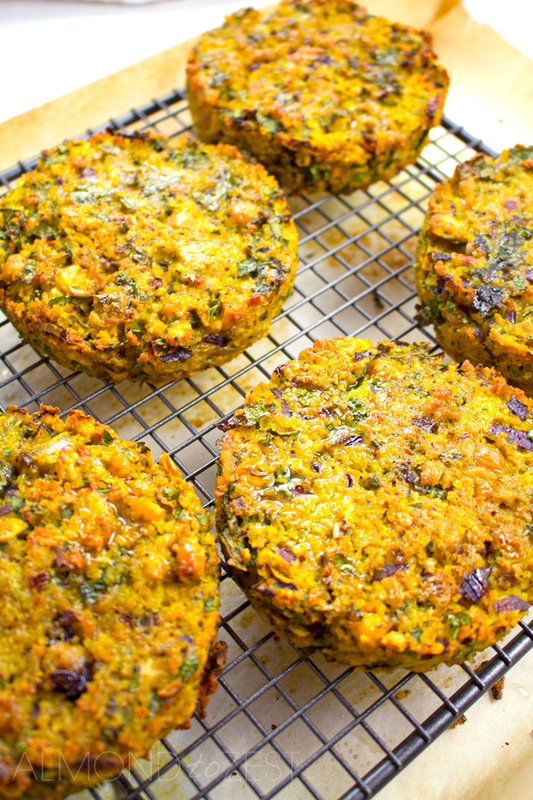 These patties are my jazzed up healthy version of my all time favourite Middle Eastern street food the Falafel. 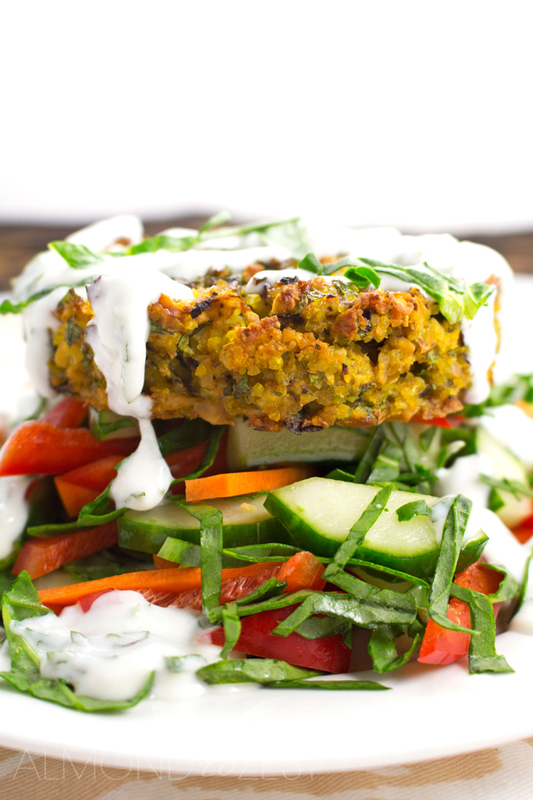 I have a love affair with Falafels. Whenever I eat out at my local Middle Eastern restaurant I will order falafels in some shape or form around 95% of the time. They are just so incredibly tasty and surprisingly filling. But the only down side to these tasty morsels are that they are generally deep-fried or shallow fried. So I decided to rustle up my own simple recipe that only requires these patties to be baked not fried. 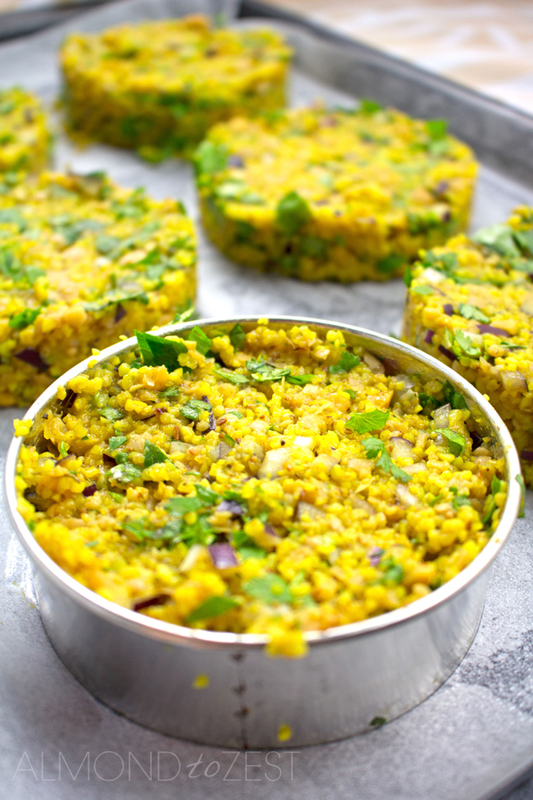 These patties are exploding with fantastic flavours from all the herbs and spices that I have crammed into the mix. Fresh cilantro and garlic with turmeric and toasted cumin seeds with finely diced red onions for zing. Blitzed chick peas and eggs work as the binders and then there is the Bulgar wheat, which is my secret ingredient to the patties mix. Not only does it give the patties a great crumbly texture but it also provides a lovely crunchy outer layer that is pretty close to the same crispiness that frying provides. 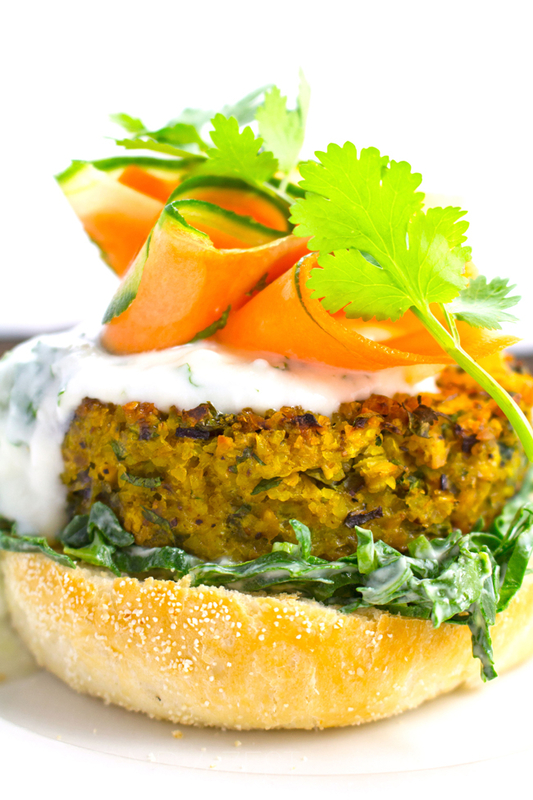 Serve these patties as a burger with thin slices of carrot, cucumber and chopped spinach. Or have it on top of a chopped salad of red bell peppers, carrot, cucumber and spinach. But however you have it don’t forget to serve it with a good dollop and drizzle of minted yogurt. It just adds some moisture and the flavour combination of the patties with the yogurt are through the roof. Heat oven to 430 (220C). Take a small saucepan and bring the 1-cup of water to the boil. 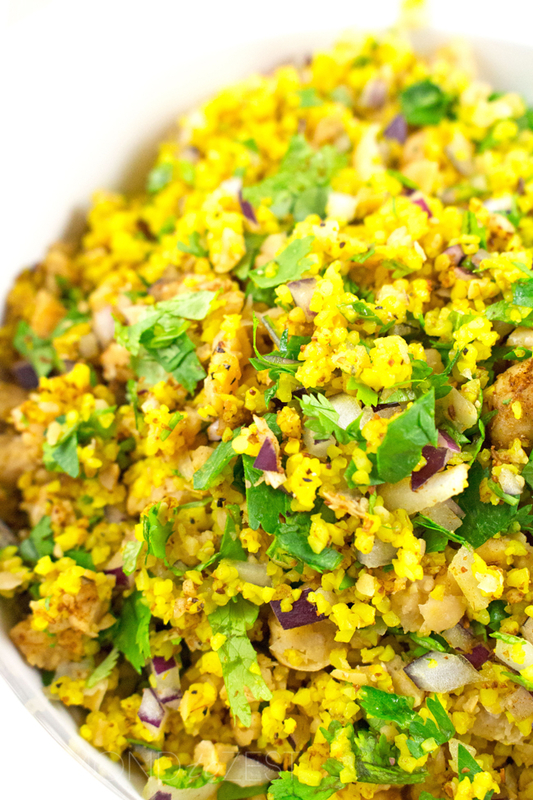 Remove from heat and stir in the bulgur wheat, turmeric powder and ¼ teaspoon of salt. Cover and let stand for 20 minutes. 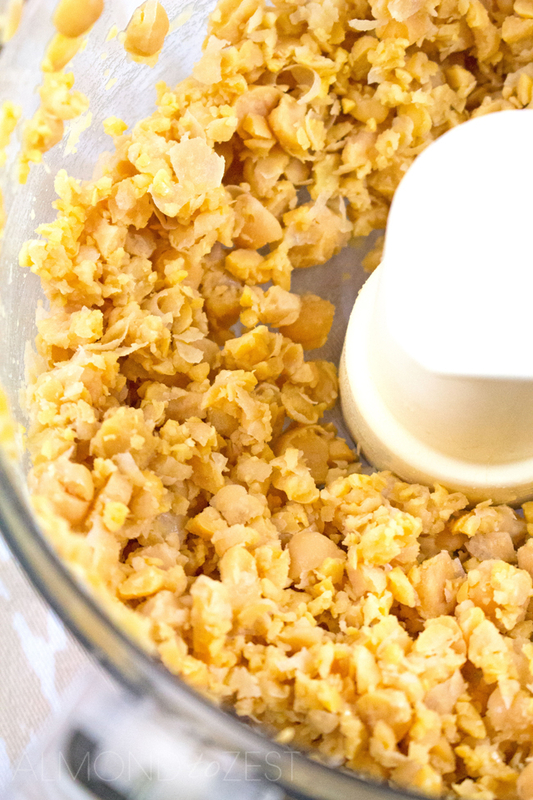 Place the drained and rinsed chick peas into the bowl of a food processor and pulse about 16 times. You are looking for a consistency where the chick peas are quite broken up a little, but there are still a few larger chunks of chick peas in the bowl. In a large mixing bowl combine the chick pea and bulgur wheat mix with a wooden spoon or spatula. Add the onion, garlic, cumin and cilantro and stir well. Season to taste then ad the eggs and mix until well combined. Line a cookie or baking tray with parchment paper and spray with canola oil. Using a round cookie cutting ring roughly 3¾ inch (9.5cm) in diameter or simular as a mould make 6 patties and lightly pat down with a spoon. Drizzle olive oil on top of the patties and bake for 15 minutes, then flip and bake for another 5 minutes until lightly golden on both sides. To prepare the minted yogurt combine all the ingredients in a small mixing bowl.